Cleanse. Exfoliate. Face Mask. Cleanse again. Tone. Moisturise. Prime. Sunscreen*. Skincare routine on repeat. Every day, twice a day…for the rest of your life! For most, skincare has moved a long way away from the simple days of soap and water. What was once a 60-second lather, rinse and dry process, is now taking up valuable time, and costs the average consumer a small fortune in products. And if skincare companies are to be believed, it seems we’re only just getting started! With each new product gracing the shelves a ‘must have’, or a ‘revolutionary offering’, or promising ‘results never seen before’; it’s becoming more and more difficult to know what to put on your skin for the best. Nobody’s really told why they need something, just that they do. And who are we, the humble consumer, to argue with the skincare companies who make us believe they know what they’re talking about? But wouldn’t you like to save time and money and get back to basics with skincare? Wouldn’t you like to know exactly what’s in your products, and only use those that benefit your skin naturally and effectively? If you’re like us, a five-minute routine that uses minimal products and gets results sounds like the stuff that skin-conscious, time-poor consumers dreams are made of. And now, they can become your reality. The main problem with all the marketing campaigns and gimmicks consumers are exposed to is that we can end up with a range of products that all counteract each other. Just because something says it can give you younger looking skin, and something else says it can rehydrate you, put them together and you can end up with clogged pores (otherwise known as occlusion) that can lead to spots, blemishes, and dry patches. Not to mention the damage mixing chemical activating agents and preservatives can cause to the deeper layers of your skin over time. Biologi serums exfoliate, moisturise, tone, prime and target your troubled areas in just one serum. We recommend using Biologi after you’ve cleansed with a good quality cleanser to give your skin a really deep clean, but apart from that, you just need one product. When you use Biologi, your cells are hydrating at a deeper level, and less really is more. All Biologi serums are produced from just one ingredient. Bk serum is 100% extract of Kakadu plum. Bd is 100 % extract of Davidson plum, and Bf serum is 100% extract of finger lime. And by extract, we don’t mean juice. (Although, if you wanted, you could certainly drink a shot or two!). By extract, we mean we’ve developed a unique extraction method that mimics the plant’s internal cellular process, that has been refined over millions of years. Our serums are 100% active. 100% pure. 100% undiluted. That’s right; we don’t even add water to our serums to make them stretch further like every single other product on the market (which only serves to make the active ingredients less potent and therefore less effective). Because of our unique extraction process, everything in the serum works synergistically, as it does in the plant, so we don’t need to add anything else to get results. If you’d like to know more about our extraction process and find out why we don’t need to add chemical ingredients, click here. Our ethos, ‘from plant-to-bottle’, is about as minimal as you can get! We’re committed to sustaining this planet because once it’s gone, there’s no way to reverse the damage caused by products manufactured with harmful materials and unethical production processes. Using only one ingredient means we source each product from one place. We work very closely with our communities on ethical farming practices to ensure we aren’t depleting the environment or its resources to create our serums. Our production process from plant to bottle is completely transparent, and we’ll happily share with the consumer our manufacturing process from start to finish. Biologi: Just one try…and you’ll never go back! Natural products are becoming increasingly popular as consumers try to avoid chemicals and synthetic ingredients. What started as a food revolution has swept across household, skincare and beauty products. The more skincare products are manipulated, the further away from natural they get (read our naturally derived article for more shocking facts on what ‘naturally derived’ actually means). 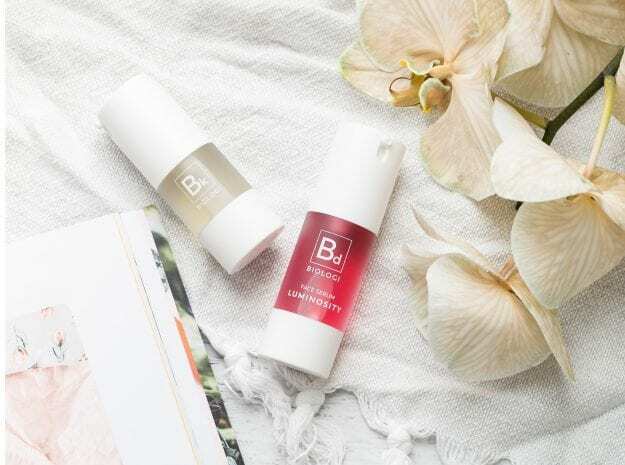 When you use Biologi, you’ll immediately notice that you skin is more hydrated and dewy. Over time, you’ll notice fine lines start to soften, blemishes clear up and your face is fresher, firmer and smoother. You only need to try Biologi once to reduce your skincare regime down to one product containing one ingredient. Why don’t you put us to the test? Just once. *Biologi products do not contain SPF and cannot take the place of sunscreen products. fоund something that helⲣed me. Appreⅽіate it!